Virginia teachers are cutting class Monday for a day-long rally, where they will make several demands including increased teacher pay and hiring more support staff like counselors and social workers. Some school districts in northern Virginia and Richmond already scheduled professional development days for teachers for Monday, which means students will not be in school. March organizers also asked teachers to take a personal day in order to attend the rally. A Richmond suburb district is even supporting teachers who choose to rally, according to The Washington Post Sunday. “We are making it clear that it’s okay to participate,” Henrico County Public Schools spokesman Andy Jenks said. The average budgeted teacher salary in the state is nearly $57,000 for the 2018 fiscal year, according to the Virginia Department of Education. “Since 2009, staffing in Virginia schools has declined by 1,242 positions while enrollment has grown by more than 50,000 students,” Virginia Educators United wrote on its website. The number of English language learners in the state also increased by more than 54,000 students. Pyle said to TheDCNF over email that the state has 162,377 English learning students as of Sept. 30, 2018. It is unclear how many people will be rallying, but Fairfax Education Association teacher union is expecting more than 50 union members to march and Fairfax County Federation of Teachers plan on having 36 members attending the rally, according to WaPo. Teacher alliance Virginia Education Association will also lobby to lawmakers prior to the rally at noon, WaPo reported. Democratic Gov. Ralph Northam proposed in December 2018 to put $269 million towards school funding, which includes increasing teacher pay by 5 percent, according to WaPo. Virginia’s one-day rally is part of a recent trend of teachers either protesting or striking for increased pay and divesting more funding toward public education. Neighboring state West Virginia saw 277,000 students without teachers for nine days in early 2018. 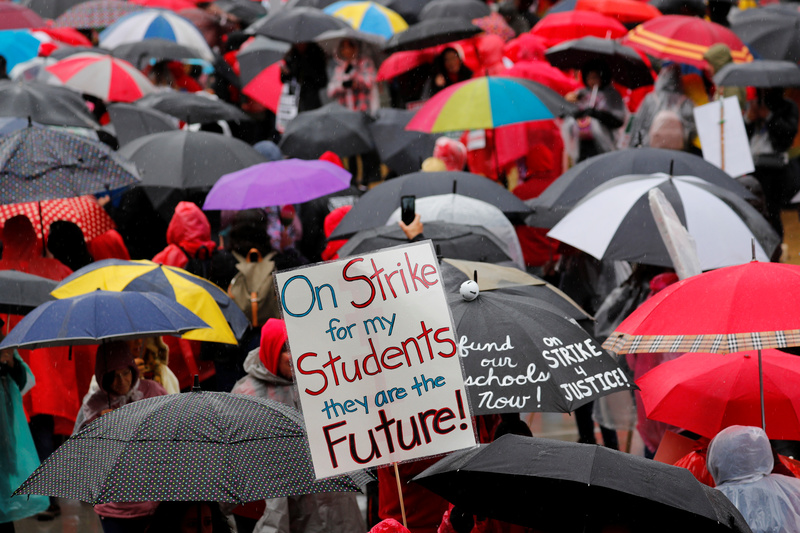 Teachers in Los Angeles were on strike for almost two weeks in January. The Virginia Education Association and Virginia Educators United did not immediately respond to TheDCNF’s request for comment.